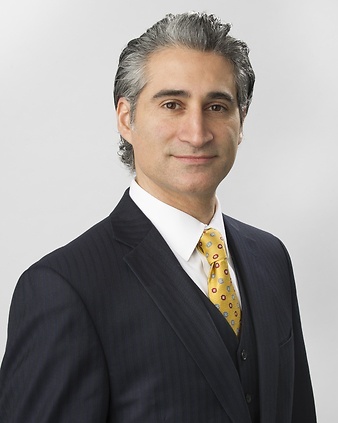 Kaveh Kashef is a Shareholder practicing in Butzel Long’s Bloomfield Hills office. He specializes in complex litigation in the fields of automotive, shareholder disputes, employment, commercial, construction, riparian rights and real property law. He has prepared and succeeded in numerous trials, arbitrations and appeals in various states across the country. In addition to handling litigation in a wide range of industries, Kaveh represents traditional and nontraditional private equity groups and serves as a general business and legal advisor to his individual and corporate clients. Mr. Kashef was a law clerk to the Honorable William A. Webb, United States Magistrate Judge for the Eastern District of North Carolina. He received his undergraduate degree from the University of Michigan (B.A. 1995), and graduated with honors from the Tulane University School of Law (J.D. 2001) in New Orleans, Louisiana. Kaveh has been a speaker in the field of condominium development and has authored several contracting-related articles. He is admitted to practice in the State of Michigan and the U.S. District Court, Eastern District of Michigan, and Sixth Circuit Court of Appeals. Kaveh is very active with the Oakland County Bar Association (OCBA). He is the former chair of the Continuing Legal Education committee and is the immediate past president and a trustee of the Oakland County Bar Foundation. In 2012, he was elected to the Board of Directors of the OCBA. In addition, Kaveh is a Barrister of the American Inns of Court and is the former chair of the New Lawyers Section of the OCBA. Kaveh was a member of the State Bar Association Civil Procedure and Courts Standing Committee from 2005-2012. Kaveh was named a “Rising Star” by Michigan Super Lawyers from 2008 through 2012, has been a "Super Lawyer" since 2013 and was listed as a “Top 100 Lawyer” in 2017. Kaveh has been named a “2012 Top Lawyer” by dBusiness magazine and was selected for inclusion to Michigan Lawyers Weekly’s “Up and Coming Lawyers” list in 2011. In 2012, Kaveh made The Trial Lawyer’s Top 40 Under 40 for the State of Michigan. University of Michigan 1995, B.A.